Ramblin' Jack Elliott (born Elliot Charles Adnopoz; August 1, 1931) is an American folk singer and performer. One of the last true links to the great folk traditions of this country, with over 40 albums under his belt, he is considered one of the country's legendary foundations of folk music. Elliott was born in 1931 in Brooklyn, New York, the son of Florence (Rieger) and Abraham Adnopoz. His family was Jewish. He attended Midwood High School in Brooklyn and graduated in 1949. 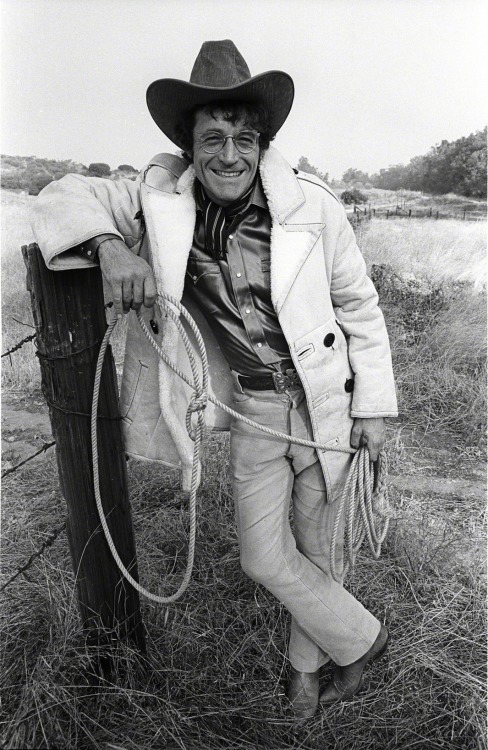 Elliott grew up inspired by the rodeos at Madison Square Garden, and wanted to be a cowboy. Encouraged instead to follow his father's example and become a surgeon, Elliott rebelled, running away from home at the age of 15 to join Col. Jim Eskew's Rodeo, the only rodeo east of the Mississippi. They travelled throughout the Mid-Atlantic states and New England. 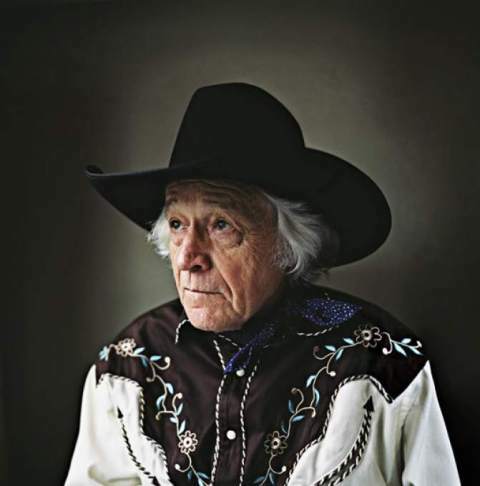 He was only with them for three months before his parents tracked him down and had him sent home, but Elliott was exposed to his first singing cowboy, Brahmer Rogers, a rodeo clown who played guitar and five-string banjo, sang songs, and recited poetry. Back home, Elliott taught himself guitar and started busking for a living. Eventually he got together with Woody Guthrie and stayed with him as an admirer and student. Woody Guthrie had the greatest influence on Elliott. 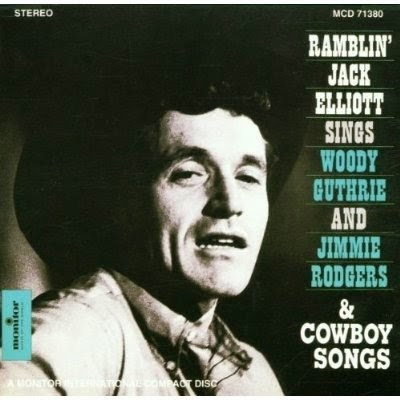 Guthrie's son, Arlo, said that because of Woody's illness and early death, Arlo never really got to know him, but learned his father's songs and performing style from Elliott. Elliott's guitar and his mastery of Guthrie's material had a big impact on Bob Dylan when he lived in Minneapolis. 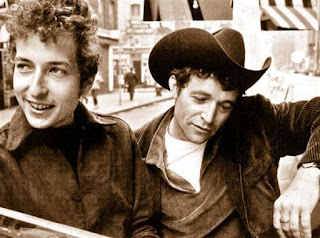 When he reached New York, Dylan was sometimes referred to as the 'son' of Jack Elliott, because Elliott had a way of introducing Dylan's songs with the words: "Here's a song from my son, Bob Dylan." 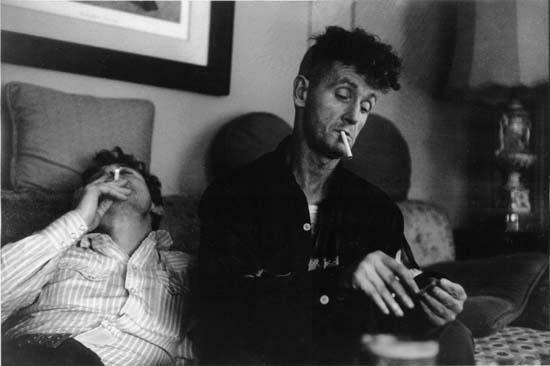 Dylan rose to prominence as a songwriter; Elliott continued as an interpretative troubadour, bringing old songs to new audiences in his idiosyncratic manner. 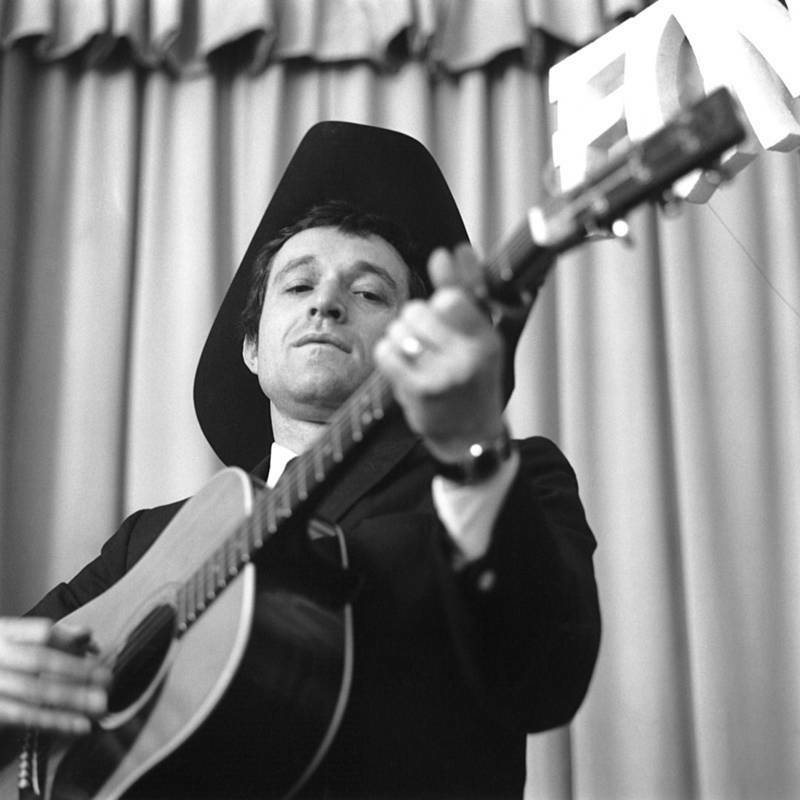 Elliott also influenced Phil Ochs, and played guitar and sang harmony on Ochs' song "Joe Hill" from the Tape from California album. Elliott also discovered singer-songwriter Guthrie Thomas in a bar in Northern California in 1973, bringing Thomas to Hollywood where Thomas' music career began. Elliott appeared in Dylan's Rolling Thunder Revue concert tour and played "Longheno de Castro" in Dylan's movie Renaldo and Clara accompanied by guitarist Arlen Roth. In the movie, he sings the song "South Coast" by Lillian Bos Ross and Sam Eskin, from whose lyric the character's name is derived.Elliott also appears briefly in the 1983 film Breathless, starring Richard Gere and directed by Jim McBride. Elliott plays guitar in a traditional flat-picking style, which he matches with his laconic, humorous storytelling, often accompanying himself on harmonica. His singing has a strained, nasal quality which the young Bob Dylan emulated. His repertoire includes American traditional music from various genres, including country, blues, bluegrass and folk. Elliott's nickname comes not from his travelling habits, but rather the countless stories he relates before answering the simplest of questions. 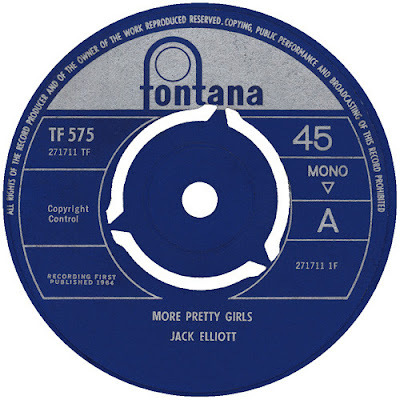 Folk singer Odetta claimed that her mother gave him the name, remarking, "Oh, Jack Elliott, yeah, he can sure ramble on!" A big thank you to Zero G Sounds blog for active link. This is a glorious tribute to a glorious man. Your blog is top-notch in its writing and diversity. Please think about honoring Willard Robison on his birthdate. And thank you for every entry. You are a daily rite. Hello David, I'll try my best but it's a bit of a wait. I missed him. 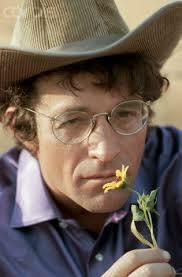 He toured Australia in early 1970s as support act for Cat Stevens, but he wasn't advertised. I had little interest in Cat Stevens so didn't go see the concert in Perth. 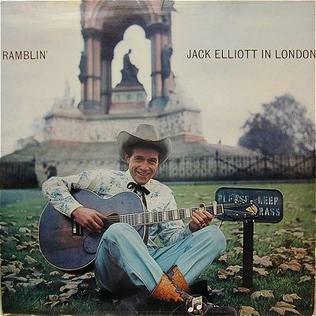 Then later friends of mine who saw the show said there was this folkie/cowboy wearing a cowboy hat and playing guitar & harp on a rack, and I found out it was Ramblin' Jack Elliot. And damn!!! I was mad I missed him. Had no idea he was in town and playing on that show. I could have seen a legend of American music perform.